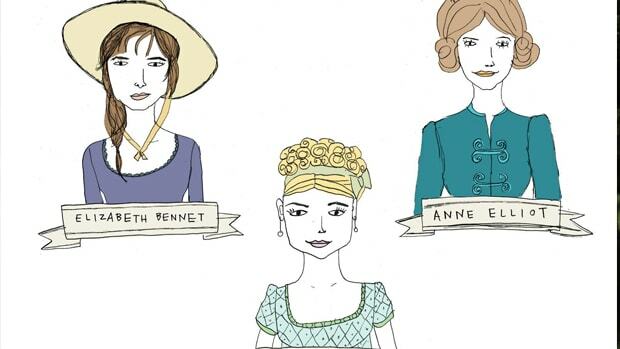 While fascination for Jane Austen abounds, remarkably little is known about her personal life. Much of what we know of her comes from her family&apos;s accounts, which are known to depart some from the truth. Cassandra, Jane&apos;s sister, must take some blame for this. In the 1840s, the elderly woman read each letter she’d received from her sister one last time. Whenever she came across anything particularly intimate or revealing, she paused, committed Jane’s words to memory, and then fed the pages into the parlor’s blazing fire. And so their most private confidences curled and flared and finally darkened to ash. Cassandra’s eldest niece, Fanny, followed her aunt’s example and failed to preserve the letters that her father had received from Jane, as well as the vast majority of her own. This stealth begs the question: what secrets could Fanny and Cassandra have been at such pains to hide? In 1926, The Times (London) published two previously unseen letters, one from Jane and one from Cassandra, both addressed to a woman little known to fans and critics alike. Subtitled “Devoted Friends,” the article introduced readers to “a shadowy figure” named Anne Sharp “for whom Jane Austen had no ordinary affection.” That this woman had not appeared, even fleetingly, in the authorized version of Jane’s life would have seemed strange to readers. 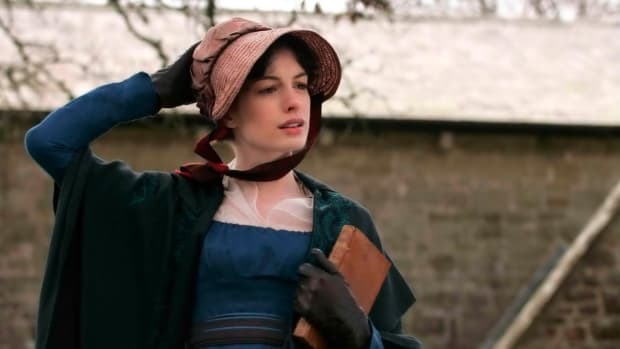 From Jane’s opening greeting of “my dearest Anne” to the warmth of the private jokes, family gossip, and heartfelt confidences that followed, it is clear that the recipient was a most treasured confidante. The uptight tone of Cassandra’s letter to this same Anne Sharp hints at another reason for family disapproval. She accused Anne of “ardent feelings” and made a point of asserting her own greater claim on Jane. Cassandra’s possessiveness and the younger generation’s snobbery speak volumes about why this correspondent appears to us today only as a ghostly apparition, absent from official portraits of the novelist’s life. To understand why Anne has been excluded from histories of her close friend, we must turn to the words of Jane’s niece, Fanny. She kept her own crimson leather-bound pocket diaries, in which she made meticulous entries from the tender age of ten. Along with a cache of her correspondence, they have been passed down to us unscathed. History has shown such scant interest in Anne that, until we discovered her name in an old baptismal ledger, even the year of her birth was unknown. And, as with most working women of her generation, no portrait nor any direct record of her words has ever been unearthed. Our reconstruction of Anne’s life must largely rely on Fanny, a privileged child born into the landed gentry, trained to regard household staff with kindly condescension. Anne would become Fanny&apos;s governess at her home at Godmersham Park. Anne’s engagement with the Austens had likely been necessitated by misfortune. Fanny recorded that her new governess had suffered a bereavement, but failed to mention for whom she grieved. “I think Miss Sharpe pretty but not strikingly so,” she noted, before adding: “she is in mourning & I think it becomes her.” With the era’s casual disregard for consistent spelling, the girl added an e to her new teacher’s surname—a mistake that Jane would also make throughout her long friendship with Anne. A woman with Anne’s mother’s name, Elizabeth Sharpe, had been buried in London in April 1803, and so it appears that the governess had lost a parent. As the new governess at Godmersham, Anne gamely threw herself into family frolics, and she had less time alone than she might have preferred. But over the coming year, she must have managed to steal some time for herself, perhaps rising early while the housemaid was still pumping bellows to reignite the embers in the kitchen hearth. With the dawn light climbing up the library walls, Anne may have dipped her quill in ink to work secretly on her play scripts instead of turning to the correspondence that gentlewomen ordinarily dealt with during the quiet pre-breakfast hours. In the same vast, empty room where Jane also holed up during visits, Anne could have taken her pick of the five library tables and the room’s twenty-eight chairs. Over in Bath, Jane was finding it difficult to carve out the time and solitude she required for her literary work, for, like Anne, she had endured an upheaval. Three years earlier, her clergyman father had announced his intention to retire from Steventon Rectory in Hampshire. No thought was given to the effect of wrenching Jane and Cassandra from their female friends—members of the Bigg-Wither and Lloyd families—or from their longstanding creative and domestic routines. 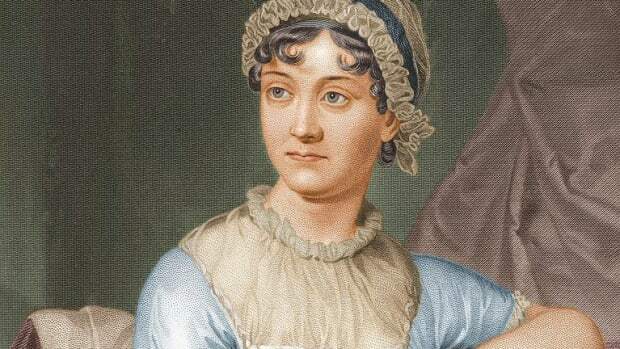 Jane held her nerve, though, and in 1803—the year Anne had agreed to join the large household staff at Godmersham—she’d sought publication of one of her novels, known today as Northanger Abbey. Benjamin Crosby of Crosby & Co. in London purchased her satirical story’s copyright, albeit for just ten pounds—a sum with which Jane could have purchased a fur-lined shawl or two, along with a velvet cloak and bonnet. Throughout 1804, while Jane was anticipating her first publication, her home life had taken a downward turn. When the lease expired on the family’s house in Bath’s fashionable Sydney Place, overlooking the pleasure gardens, the Austens were forced to move to quarters in the far less desirable western fringe of town. Anne was experiencing difficulties too. By early summer, she could not hide from Fanny the fact that she was “not quite well.” During this period, Anne received sympathetic treatment from her employers and fellow staff. But as the months wore on and she kept suffering intermittently from similar spells of ill health, she must have grown anxious about retaining her position. After all, the Godmersham Austens were known for high turnover of household staff. It could only be a matter of time before Edward dismissed a governess who so frequently took to her sickbed. 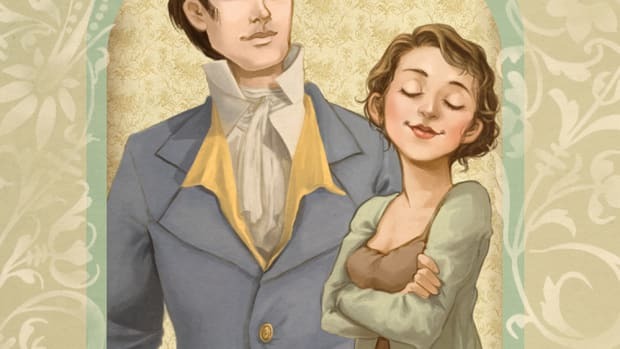 Meanwhile Jane, having waited in vain for two years to see Northanger Abbey go to print, could only speculate that Crosby & Co. might have had second thoughts about bringing to press a satire that sent up the gothic genre in which the firm specialized. In fact, the publishing company had simply run into financial trouble. Regardless, Jane’s disappointment at the lack of progress must have been crushing. She’d prioritized writing over courtship and domestic responsibilities, turning down at least one proposal of marriage, eschewing invitations whenever possible, and allowing her sister to take on more than her fair share of family duties. Ultimately, though, she was undeterred. She simply picked up her quill and continued drafting a new novel, provisionally titled The Watsons. But then a catastrophe befell the Austen household. Ever since moving into the damp-ridden house in Green Park Buildings, her father had been suffering from weakness and fevers. On January 19, 1805, he endured a violent seizure, and within days he passed away. His death robbed all the Austen women of an affectionate father and husband, and Jane of an enthusiastic admirer of her work. Since women could not inherit a church pension, Mrs. Austen and her daughters also lost their main source of income. Like Anne, Jane was now similarly reliant on the purse of Godmersham’s owner—a man who guarded his wealth from all but his wife and children. The Austen women soon came to realize that their modest finances could not cover the rent for Green Park Buildings. And so, just two months after her father’s death, Jane and her grieving sister and mother had to relocate to still cheaper lodgings. It was during this period, in April 1805, that a governess friend named “Miss Sharpe” first crops up in Jane’s surviving correspondence. Within four months, she would be writing warmly of Fanny’s teacher “Miss Sharpe” in her letters, and throughout the rest of her life, references to this governess friend would litter Jane’s missives. But surprisingly, an annotation tucked away at the back of the authoritative edition of Jane Austen’s letters insists that the Miss Sharpe first mentioned in April 1805 could not possibly be the same woman to whom Jane would grow so attached. This governess friend cannot be Anne, so the story goes, because she and Jane could not yet have met. There’s no evidence that Jane had paid a visit to her Kentish relatives during the fifteen months of Anne’s employment. And Anne must have been at Godmersham throughout that time. But this, in fact, was not the case. Young Fanny’s metal-clasped diaries and wax-sealed letters reveal that during that spring of 1805, her teacher was away from home. These unpublished manuscripts show that Anne’s month-long absence coincides with the same period of Jane’s removal from Green Park Buildings to her poky new rented abode. 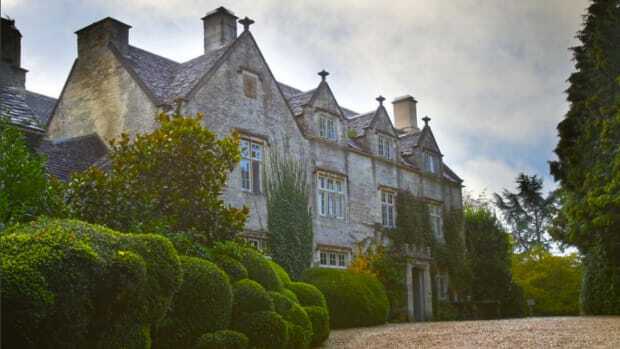 It seems possible that Fanny&apos;s father, Edward, sent Anne to assist the Austen women with their move, and that Jane and Anne grew fond of each other far from the watchful eyes of the owners of Godmersham. Packing up the household together, she and Anne would have found plenty of opportunity for literary conversation, such as trading thoughts on favorite books by the likes of Maria Edgeworth and Frances Burney. 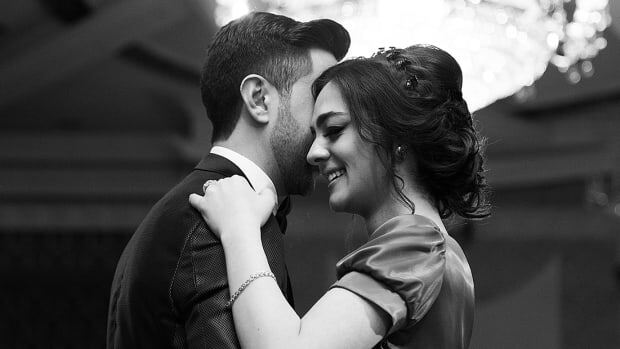 At some point, this flicker of friendship ignited to flame, their difficulties perhaps giving each woman a reason for trading confidences. Anne’s persistent headaches and eye problems must have hampered her attempts at devising plays, and Jane had not been able to concentrate on her new novel during the months since her father’s death. In the years to come, these women would find all sorts of ways to support each other’s endeavors. 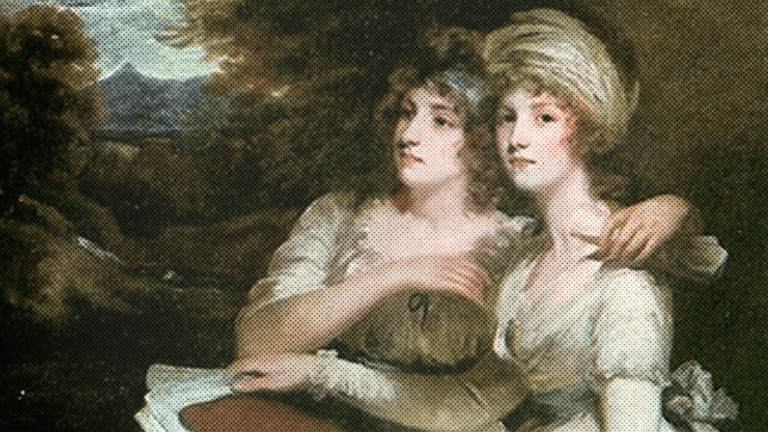 In one of Jane’s surviving letter, she would discuss with Cassandra the intention to invite their childhood friend Martha to join their new household. Although the sisters had been keeping this plan from their family, the time had come, Jane wrote, to let others know of these hopes. Martha’s meager finances could supplement theirs, and her skills as an amateur cook and apothecary would come as welcome indeed. But more than anything, it was her friendship they held dear. Scrapes aplenty did indeed await her as she tried to bring the keen playwright into her group of intelligent single women—the others all avid readers of Jane’s novels in draft, but none of them able to offer quite the creative solidarity of a fellow writer like Anne. 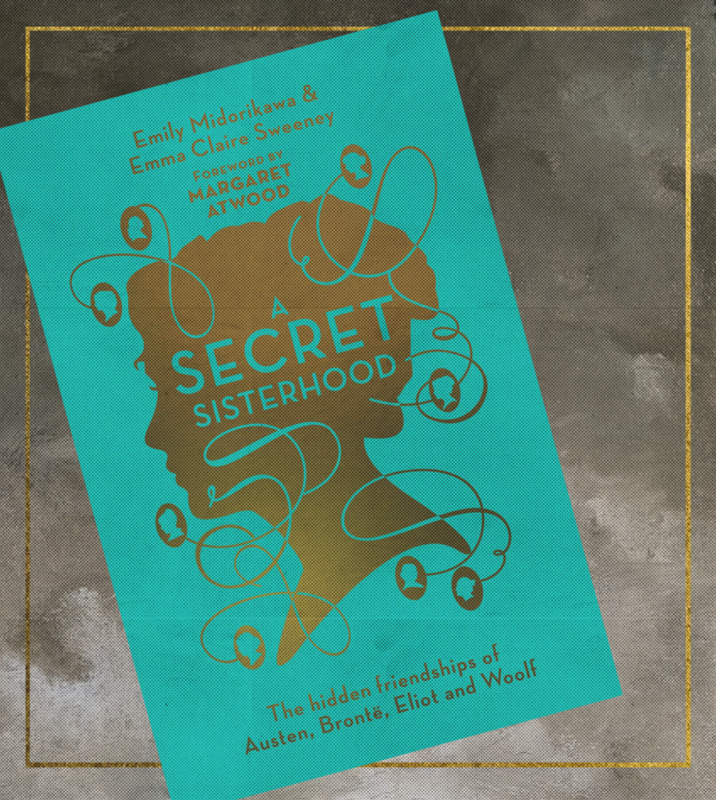 This article was excerpted from chapter one of A Secret Sisterhood: The Literary Friendships of Jane Austen, Charlotte Brontë, George Eliot, and Virginia Woolf, which is available October 17. In their new book, Emily Midorikawa and Emma Claire Sweeney explore the fascinating legacy of female friendships among beloved literary women. Informed by little-known letters and diaries, these portraits of strong bonds are a perfect complement to the modern female duos we celebrate today.